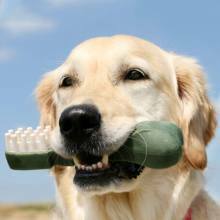 Following American Veterinary Medical Association guidelines, Willow Brook Animal Hospital only does cleanings and dental work on anesthetized pets. To ensure your pet is healthy enough to undergo anesthesia, we do require a routine blood test before the procedure. To make an appointment for a dental exam or cleaning, call us at (214) 377-1041.